property during times of drought. work long hours on the farm. "VIEW Drought Project" was created. 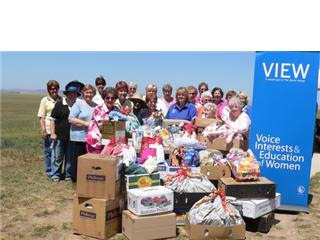 to distribute to country women in our immediate local communities. soap, deodorant, first aid kits, sunscreen etc." 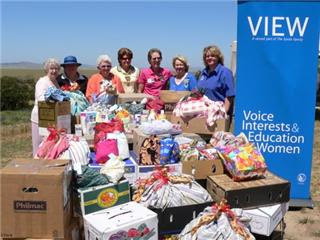 women in need of a little helping hand. donations to the Drought Project.